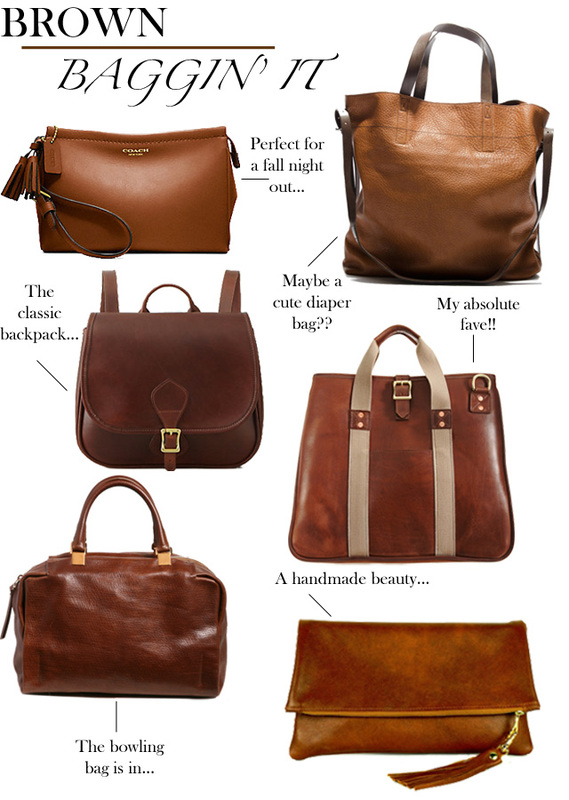 I've always loved a pretty brown bag, but I especially love them in the fall/winter. These are just a few brown beauties that I wish would magically appear in my closet. I think the handmade K.Slademade foldover clutch (bottom) is a beauty. I have one of her totes and the quality is amazing. I also love that Dries Van Noten tote (top). It would make the perfect carry-on or diaper bag. If one of these could magically appear in your closet, which one would you like it to be? Hmmm, tough one, I think the bowler one is my favorite. Great round-up love all the leathers, they look so rich! You always find the best bags! I really wish that Lanvin weren't $1,750. I love it. On a mission to find the look for less.